Acrylic Nails are stronger and more rigid. The acrylic enhancement can withstand "rougher treatment" and can support a longer length nail. One can have the best of both worlds with acrylic nail enhancements and a gel topcoat. At Immerse we use 'Entity', a sculpting system designed to meet both the needs of the artist and the demands of the salon. Our exclusive formulas apply the latest technology, innovative science and more than 30 combined years of world championship expertise. Taking the best qualities of both liquid and powder acrylics and LED hard gels in a new odourless formula called PolyGel. PolyGel is a breakthrough nail enhancement that can be applied as an overlay or used to sculpt a full set of longer nails. Hard gel is an odourless, flexible enhancement that can be used to strengthen your natural nail or lengthen. Hard gel is the most 'natural' option in nail enhancements. 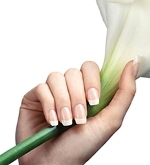 Go30�s are a faster, more affordable alternative to traditional acrylic or gel nails. 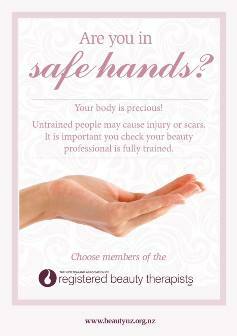 They are less damaging to the natural nail and have little or no lifting. Each nail is individually custom fit to your specific nail shape so they look and feel like your own nails! 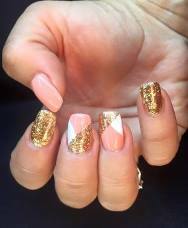 Go30 nails are great for clients who have little time or have had problems with or simply don't like traditional acrylic or gel nails. For fabulous nails that last 14 days choose Shellac gel polish. We have a great range of colours that have a luscious crystal shine, zero dry time, feel free to put your hands into your hand bag straight after your polish! Please note Shellac Gel polish must be removed in salon. Ask about our beautiful REAL pressed flowers, diamantes and nail jewellery, coloured, glitter and specialty powders to personalise your hands!